Rubber ducky, you're the one! 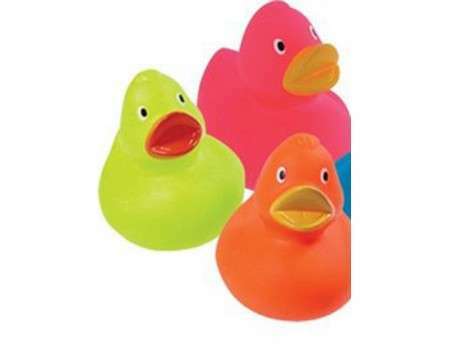 These multi colored ducks make bath time full of splashing and quacking fun! Available in assorted colors. Each duck measures 3.25 x 2.75 x 3.25 Ages over 18 months.